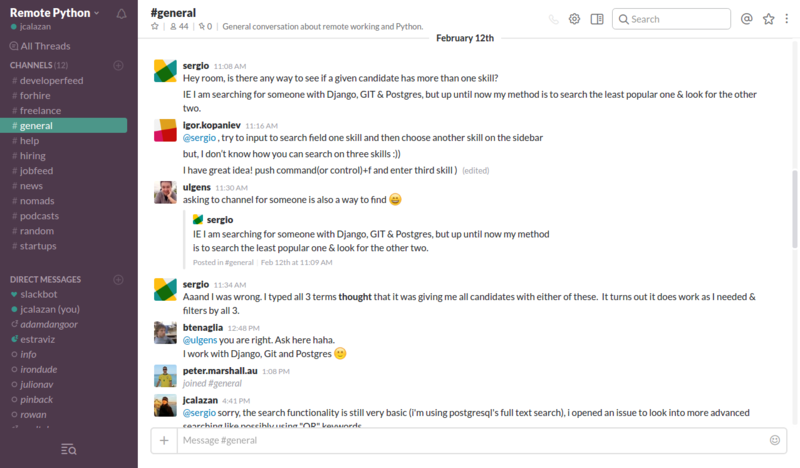 I first learned about Slack a few years ago, when a startup I was working for switched to it from Campfire. The company got used to the new tool very quickly and it became our main communication channel. We rarely used emails. We set up channels for the different teams in the company and a bunch of random ones. We set up different integrations with it to handle our workflow. We had a chat bot that helped us coordinate deployments. If we needed a break from work, we go to some channel where people post funny and silly stuff. When working remotely, I didn't feel alone as I can jump in to any conversation in any of the channels. 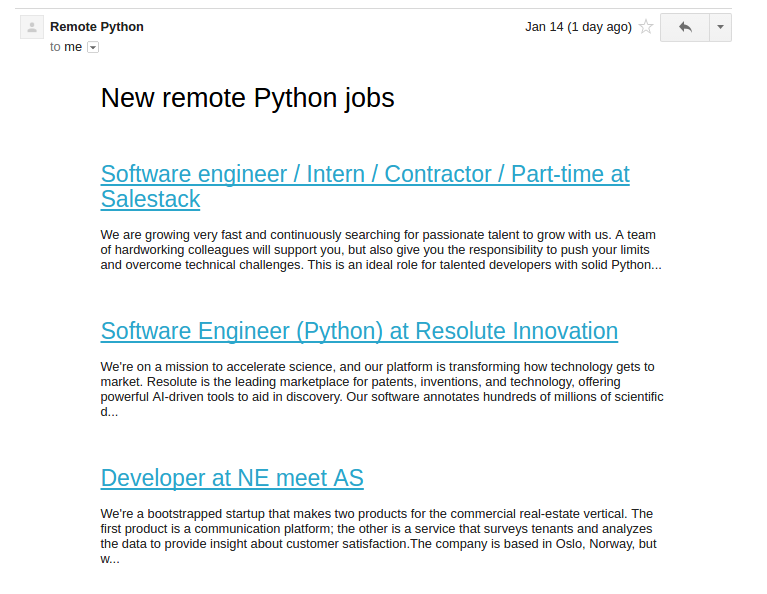 If you prefer getting remote Python job alerts delivered directly in your inbox, you can now do so by subscribing to Remote Python's Daily Job Alerts. I really should've provided this option from the very beginning, but I was really aiming for a Jan 1 launch date and I needed a little bit more time to build the feature. I decided to keep this simple for now by only providing one way to subscribe. I thought about giving an option to receive them weekly. I was also thinking of customizing it further based on certain filters, such as if you're only interested in jobs where Django is used. But since I'm not sure if there will be enough demand for them, I decided to skip them for now and wait for the users to demand them. I hope this feature helps! I'm happy to announce that RemotePython.com is finally live! I built this site to scratch my own itch. I'm a freelance Python developer and only interested in remote jobs as I travel a lot. There are a bunch of job sites that I constantly check and subscribe to, but had to filter them for remote Python jobs. I figured I'm probably not alone, so why not build a job board and aggregator only for remote Python jobs? It would be nice to just have one site to check. 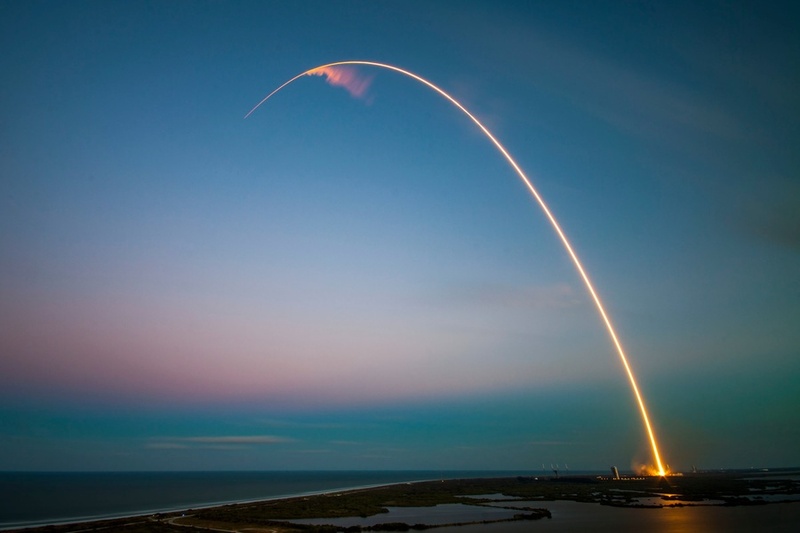 Users of the site can also drill down to very specific Python-related skills and technologies.